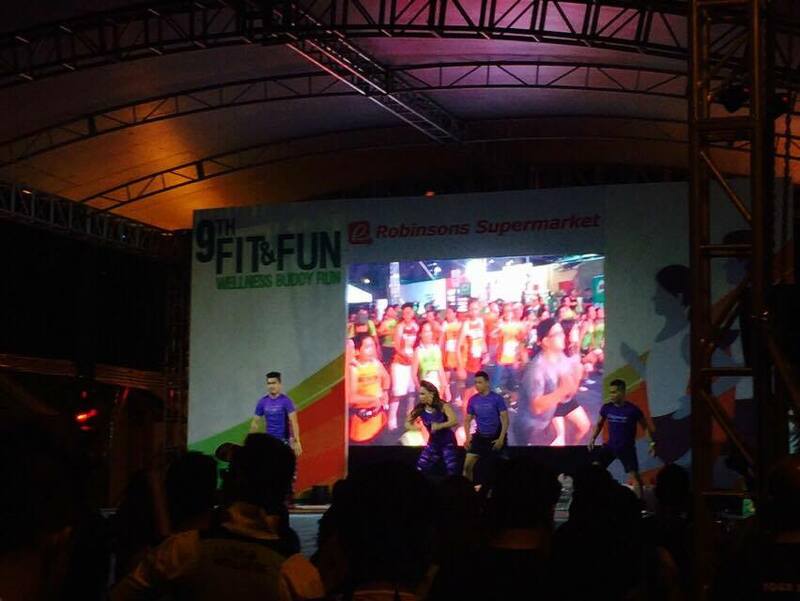 Gretchen Ho and Robi Domingo, both health and fitness advocates hosted the event which began in the wee hours of the morning. Joining them are Coaches Jim and Toni Saret for the warm-up exercise, and post-run cool-down exercises. 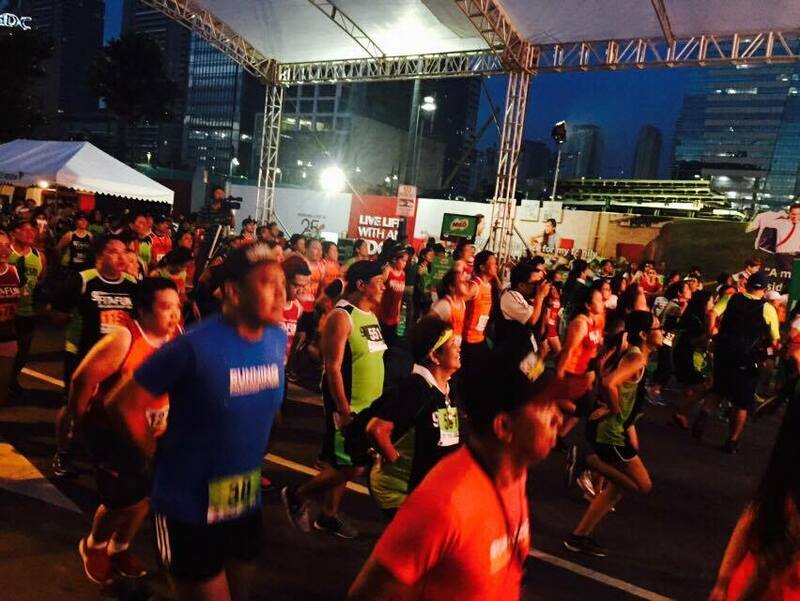 More than 4,000 runners signed up for the 5km and 10km races which include triathlete and 28th SEA Games Gold Medalist Nikko Huelgas. There are several variations of the warm-up exercise and each one was fun. Almost everyone joined the warm-ups and some even joined the coaches on stage. Here's one of the youngest runner who signed up for the 10km race. 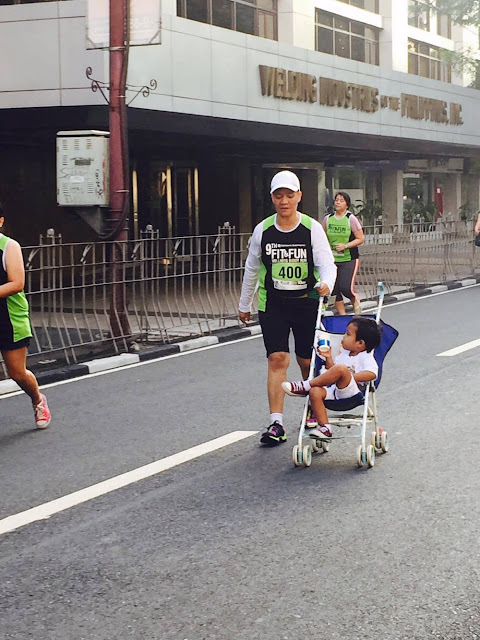 ;) My daughter and I joined the 10km race by accident since the singlets for the 5km race already ran out when we got there. But really, we're happy to have been able to finish the whole 10km stretch. Yey! 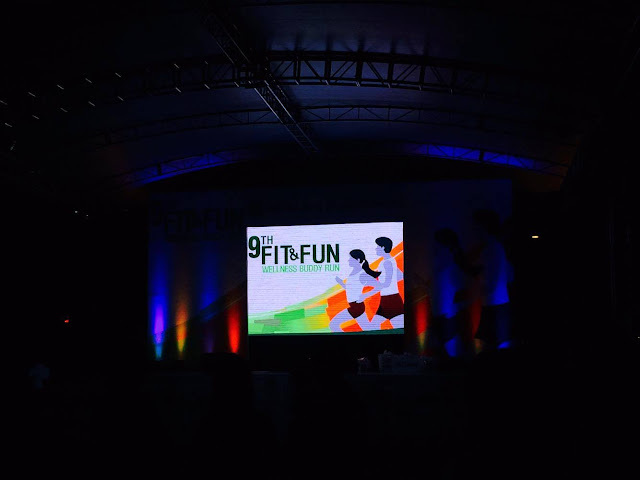 Top finishers took home exciting prizes that includes a trip to El Nido, Palawan for the 5km 1st Placer and a trip to Bali, Indonesia for the 10km 1st Placer. Wow! 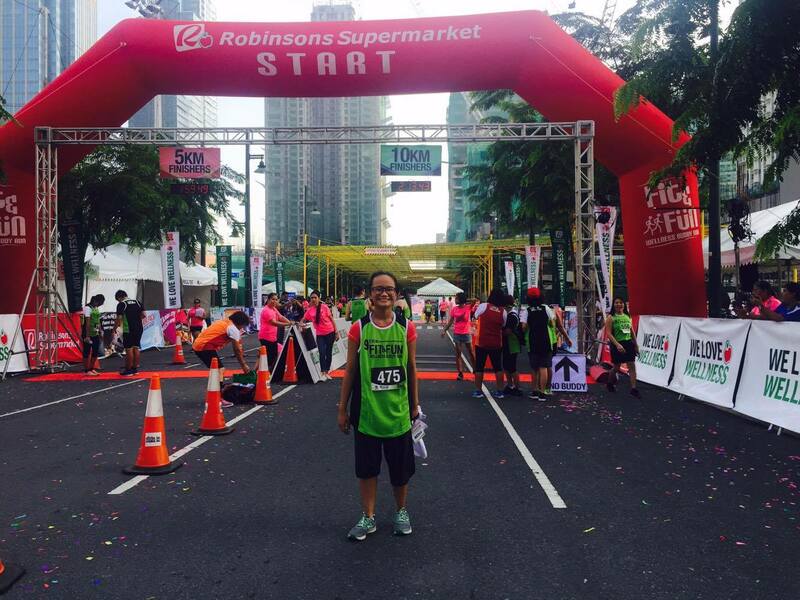 Know more about Robinsons Supermarket's health and wellness advocacies and visit their website at: www.robinsons-supermarket.com.ph to get updates on the store's activities.